In some sectors of the food industry, traceability measures have been in place for years, allowing product origins and journeys to tracked across the supply chain. However, the seafood industry has lagged behind. But fear not, Maine’s is helping to address that with the “Boat to Plate” project. The food traceability market is expected to be worth over $11 billion this year and is growing at a rapid pace of over $500 million each year. Track and trace technology development has been driven in large part by FSMA requirements, but consumer demand has also been a big player. Today’s consumer is much more discerning, wanting to ensure not only that their food is safe, but also wanting to know more about its origin. As environmental conservation, sustainability, and fair trade practices continue to grab consumers’ attention, they want to know that their food is sourced legally and in an environmentally-sensitive way. Through the use of bar coding and newer QR codes, consumers have been able to determine origin of products in certain food industry sectors, such as organic and local fruits and vegetables, some meats, and certain packaged foods. 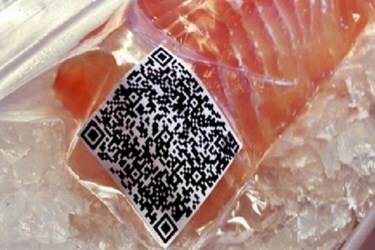 However, the only consumer-based traceability mechanisms for seafood are coming in the salmon and canned tuna markets. Scientists and fishermen in New England’s fishing industry are working to change that. The Gulf of Maine Research Institute in Portland, ME, in partnership with the industry’s workers, is developing a smartphone app that can be used to track fish caught in the coastal waters of New England. The “Boat to Plate” project has come at a time when fishermen find their catch quotas cut due to depleted resources. It has been difficult for the New England fishing industry to compete with a dwindling supply of local fish in a market which is rapidly growing due to international trade. Maine fishermen are finding themselves challenged to bring in enough money with less fish. Making the New England industry more consumer-friendly may give them a leg up in a high-information age. The app works by scanning QR codes right in the supermarket rather than relying on index card information. It is not expected to be released until 2017, but regional chain supermarkets are already on board and will be providing customers with more information right in their own hands.